Got a really cool email from one of the main chargers down their the other day, you L.J. guys might remember Kendal from his days at El Pecador. I hope I got the right guy. 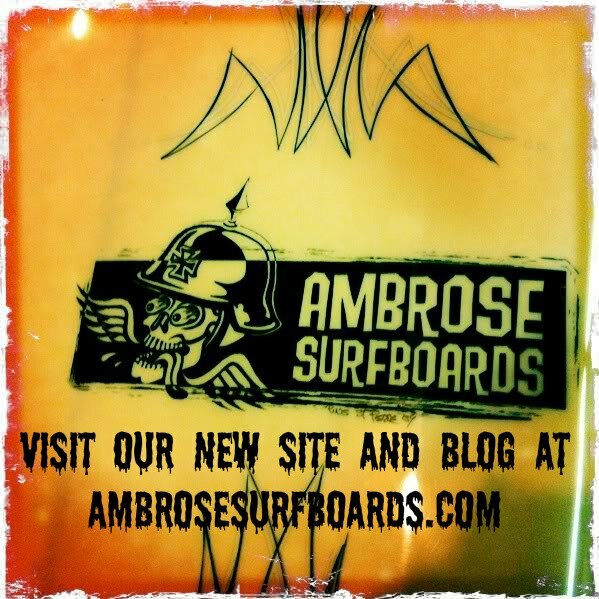 I'm trying to get up with Shawn Ambrose that shaped about 7 boards for Kendall Summers in the mid 90's (Mexico). If this is you email me back I want to catch up with you!!! me right back then and I really appreciate it. On another note I had you make me a 6'10" pin with one solid 3/8" or 1/2" stringer. 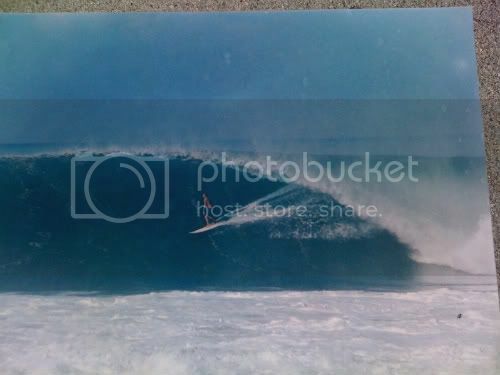 This board was fairly light which I also rode at small Pascuales and points south. I still have this board and it's still in good shape. 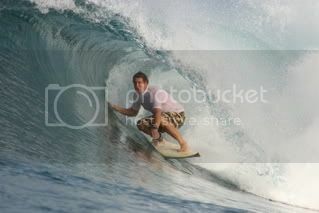 I took it to Indo two summers ago and got some clean barrells on it which I am going to send you pics of. 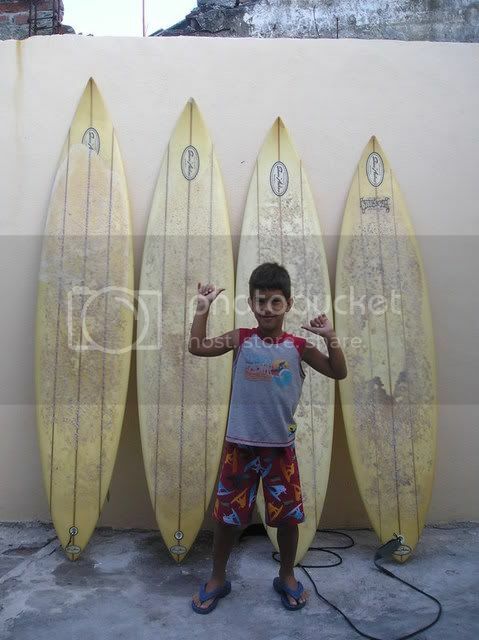 I also sending you a pic of my seven year standing in front of my Ambrose quiver.If you send me your address I will send you a video that I put together from around 93' to 97'. My wife took a lot of videos back then and I put a lot of it onto DVD. Lots of barrells!!!! and good quality. Anyway it's funny, I called Mitch's about 6 months ago to get your phone # but they didn't have it. I then did Google searches but I was typing in "Sean" not "Shawn". Today I found my mistake and Bam there you are bro!!! Anyway keep in touch and send me that address. gonna have to get together with kendall and make him some more, but only if he promises to give em such good lives!! 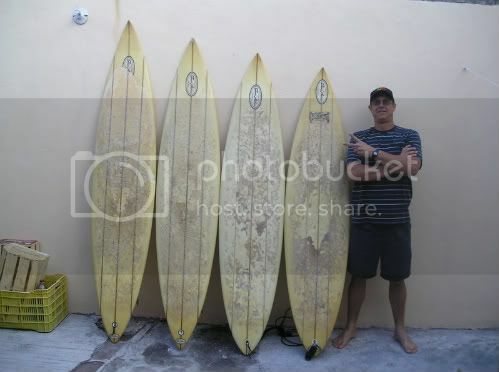 back then I used to say I was more proud of making boards for those guys than I would be for any pro , because they were quitely charging in some of the worlds heaviest beachbreak surf and seeking me out to build thier boards.I would get phone calls from all around the world with guys wanting to order boards "just like the crew down at ********* were riding. I definatley honed my gun craft with those guys and still use those templates and theories developed back then.